Since the appearance of the first online casino in the 90s, the progress and success of online gambling industry has resulted in a significant expansion of the market, and with it, the potential of further growth and the need to analyse the new users and address their demands. With the significant percentage of young people accessing popular online platforms from their mobile devices, the online gambling industry is up for a challenging task of attracting average millennials, bringing them closer to the general trend already present in land-based casinos and vice-versa. In order to do that, the casino games developers are lately focusing on social and skill games, as a high potential expected to sustain and increase the number of online games devotees. The slots that will be introduced in 2017 will reflect that very initiative and try not only to follow, but possibly create a new trend and re-design the profile of an average user. Check our previous New Slots 2016 review. The latest G2E was a perfect indicator of what the future has in store for us. Konami Gaming has taken the opportunity to unveil Fortune Cup, a mixture of a mechanical display of the actual horse race, touch screen and virtual elements. Further innovations were incorporated in Frogger: Get Hoppin’, combining video slot with arcade features. However, the real star of the night may have been the Beat Square Skill Slot, probably the best new slots machine for 2017, precisely the skill game that could appeal to the younger generation. As a cross between the standard slot and touch screen technology, Beat Square is a perfect example of symbiotic success. 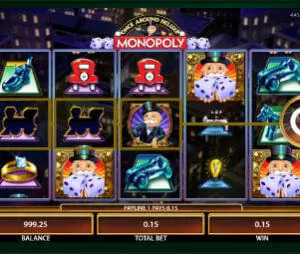 The game is played on touch screen reels, and the combinations will be as profitable as the player is fast and skillful. Another fine example is a Fruit Ninja, with two extra editions making their debut on G2E. Released by Everi, Fruit Ninja Juicy Jackpot introduces the skill based bonus round also using the touch technology. In Fruit Ninja TournEvent, the skill featured is redesigned and upgraded to a new, higher level. Released by IGT, Lucky’s Quest is another great illustration of a skill featured game. In order to receive credits and perform tasks such as unlocking the characters and reaching new game levels, the players are expected to test their skills on a game of matching symbols. The game also has a social aspect, where the players can transfer the game’s progress to a different device and compete for progressive jackpots. Incorporating pop culture and mainstream characters continues to be a trend, and ITG has followed up on their The Ellen DeGeneres Show slot. This slot too based the bonus round on the skill feature, where the players put their skill to the test through a picking game. Possibly, one of the most revolutionary release introducing a brand new concept has been Novomatic World Championship of Slots. 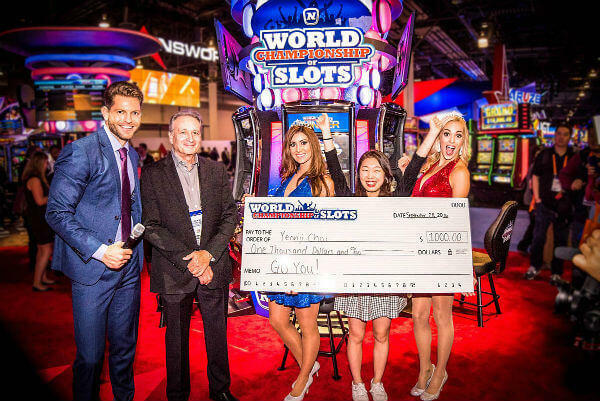 The game is produced together with Gary Hunt Productions and offers a unique opportunity to Casinos employees and players across USA to organize mutual tournaments with ad hoc qualifying events and TV broadcast. This type of interactive structure is quite new on the market, creating a completely different playing platform and possibly redirecting the marked altogether. The abundance of innovative features and original solutions in incorporating new technologies and trends, has indicated that the developers are more than ready to adapt to the new climate changes. Furthermore, the plans for the future have revealed that the technology will need not to await on the industry to prepare. According to the casinos and developers, the future seems to already be here.